The small stones are typical of the nest, covering and weigh about 5g each. 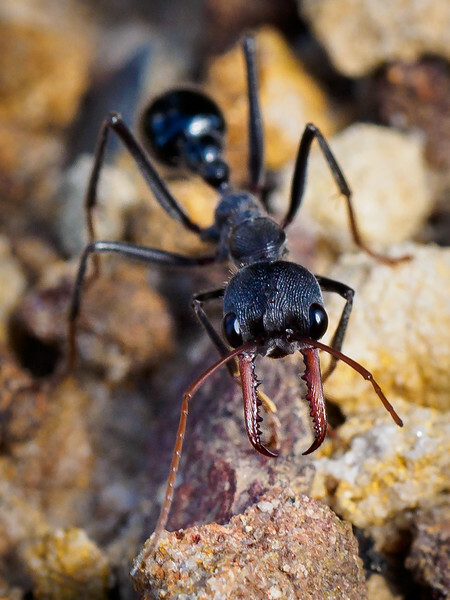 Despite the enormous mandibles, the ant's sting is actually in its tail and is at least as potent as a wasp's sting. The ant is solitary but fearless. It will size up a human for a moment and decide if it should attack or withdraw.